Lowest call rates to any destination. 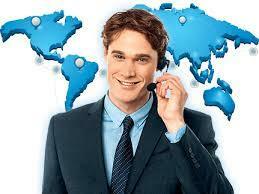 We provide our customers with the lowest rates on international calls to any destination in the in the world. Calls transited through our network reach over 160 countries globally. Voiped Telecom terminates large quantities of telecom traffic worldwide. Due to our considerable traffic in wholesale minutes, we have some of the best international rates on the market, and therefore are able to pass on these savings to you. Contact our friendly team for the best rates.